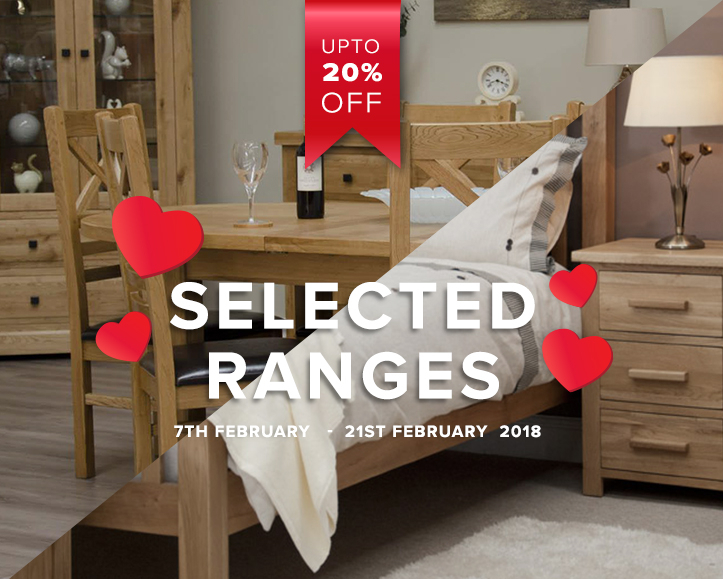 We are pleased to announce that from Thursday 7th February to midnight on Wednesday 21st February 2018 we have a Valentines sale of up to 20% on selected ranges, with 10% off many other products also. This applies to online sales from our online shop 24/7 and purchases undertaken in store at our fantastic showrooms just off the M1 in the heart of Yorkshire (postcode is HD8 9JL). We have 20% off the New England Bedroom, Mary Rose & Quadra ranges, with 10% off the Clermont, Chatsworth, Foundry, Iron Oak, New England Dining, Pandora & SOHO Ranges.